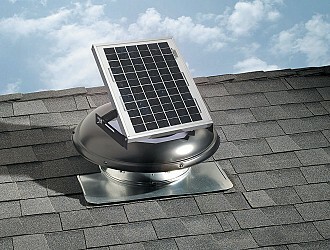 10-Watt Solar - 9010TR - Air Vent, Inc. 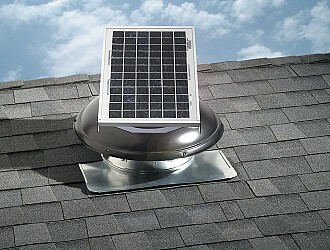 The Solar Attic Fan 9010TR collects energy directly from the sun throughout the day and converts it into electricity. 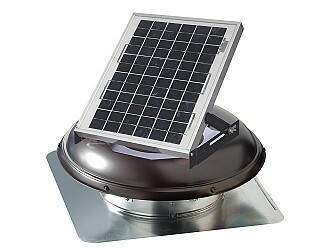 This "free" energy powers a high efficiency, 24-volt DC motor inside the attic vent to provide non-stop ventilation from sunrise, to sunset, when it's needed most. Qualifies for Energy Tax Credit, the 9010TR does not require any wiring or electrical hook-up. Initial installation costs are the homeowner's final costs! It's fast, efficient and affordable. 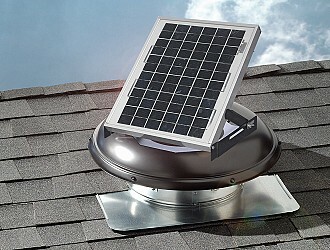 * For larger attics, multiple Solar Attic Vents can be installed.